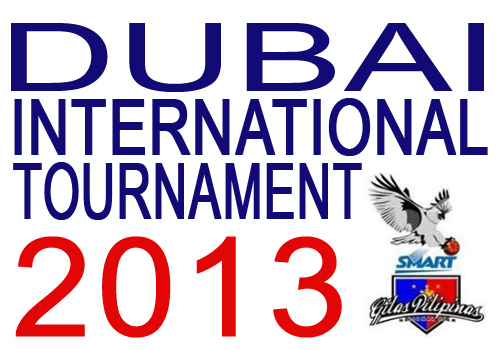 The Smart Gilas Pilipinas schedule for Dubai International Tournament 2013 can be viewed below. The 24th Dubai International Basketball Tournament will be held at the Al Ahli Club and will begin on January 10 and it will end on January 19, 2013 at the time of 5:00 PM - 11:00 PM (Dubai local time). For the meantime, please spread the news to your friends via Facebook, Twitter and Google+ so they may be informed about the Smart Gilas Schedule for Dubai International Tournament 2013. Comments or suggestions about "Smart Gilas Schedule for Dubai International Tournament 2013" is important to us, you may share it by using the comment box below.